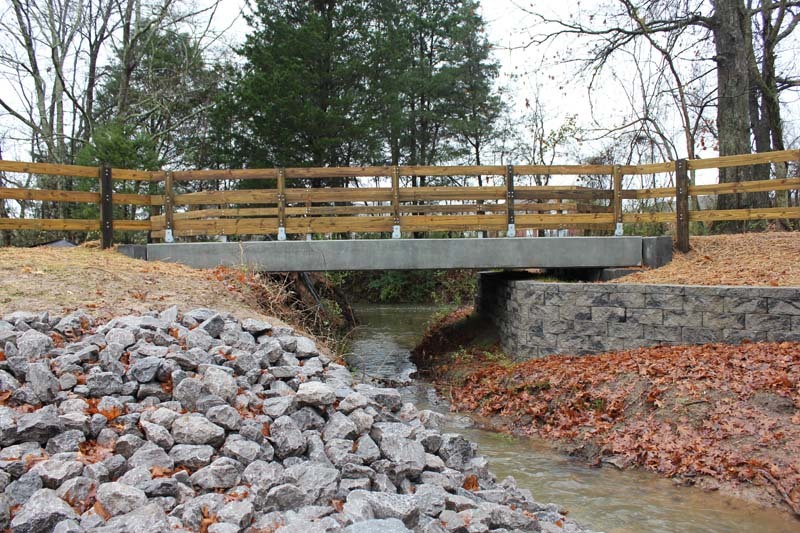 The PermaTrak product is comprised of individual precast concrete components that make up a complete boardwalk system. 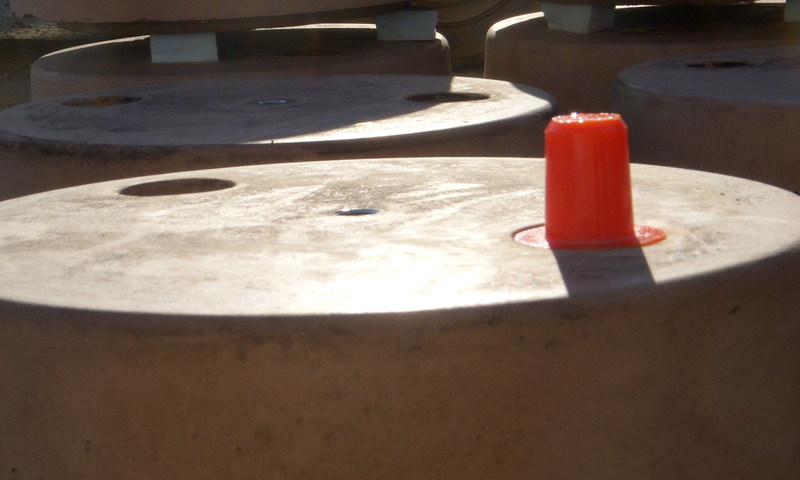 Spherical "mushroom shaped" polyurethane pins that connect PermaTrak beam to precast cap or precast abutment. On the bottom of each beam there are two pre-formed holes; these holes are to receive the spherical connecting pins. 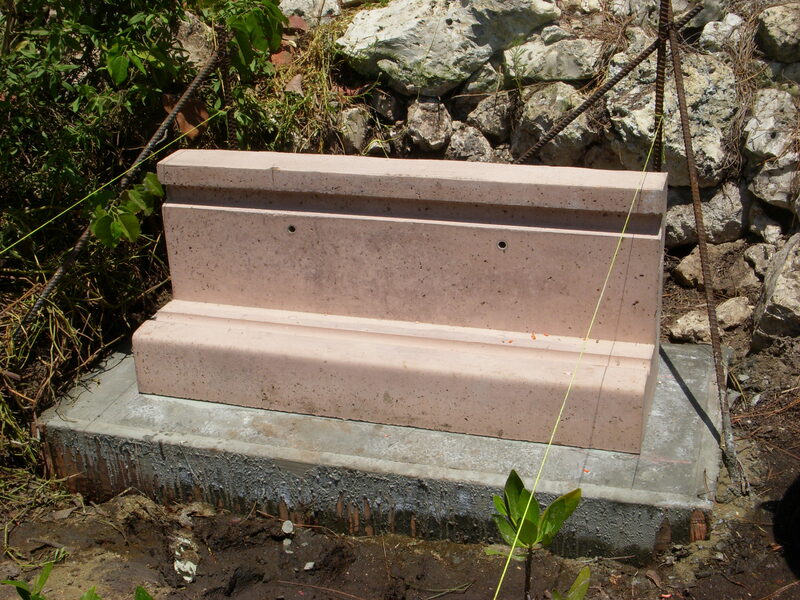 Precast piers consist of a precast base, riser and cap. The heights of each component is 6'' nominal. Additional risers are stacked on each other to increase pier heights. 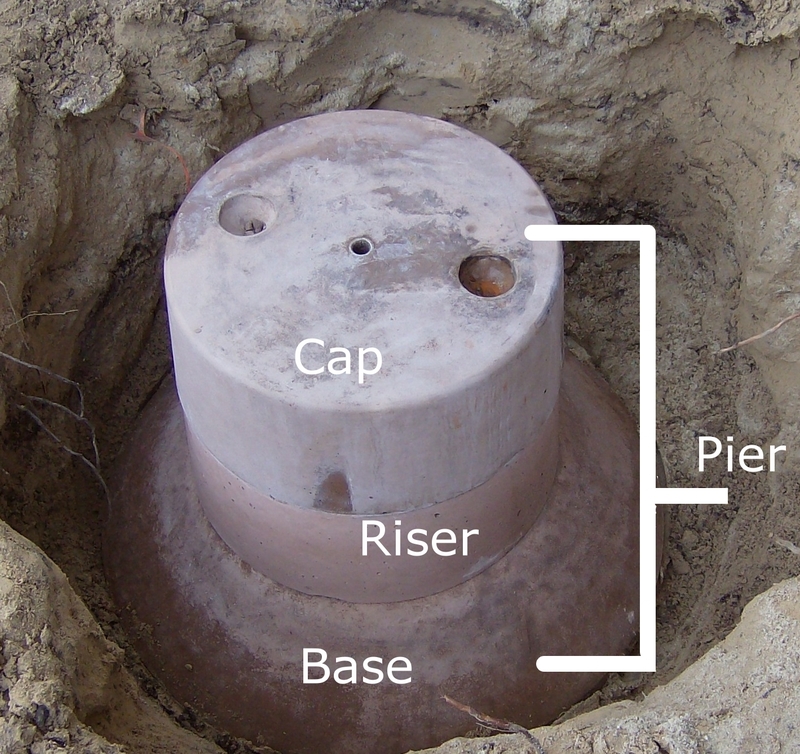 Caps are the bearing elements for the precast beams and are connected via spherical "mushroom shaped" pins. The caps serve as the transition components to begin the PermaTrak boardwalk system (beams and treads). Instead of headers, runners and stringers found on wood or composite decking boardwalks, PermaTrak designs and produces precast concrete beams. These beams are the load bearing elements that support the treads. Standard beam sizes range from 10' up to 45' in length. 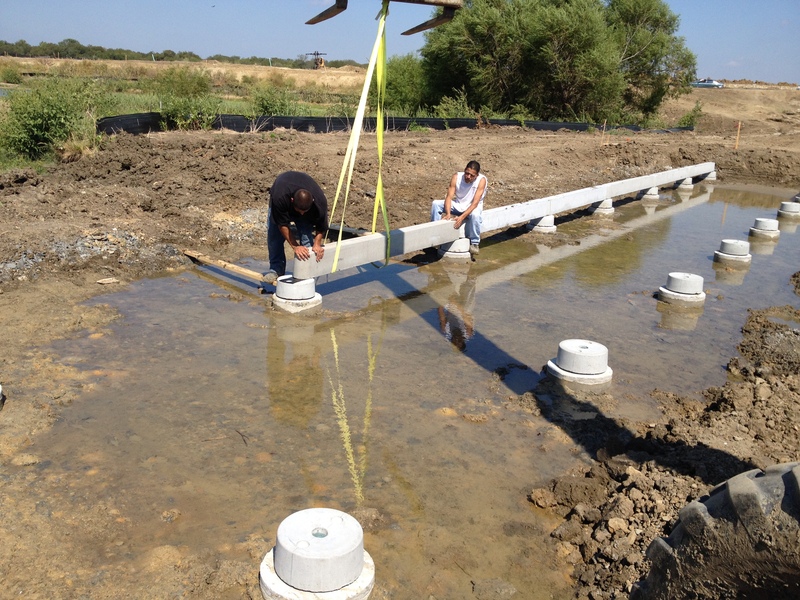 Reinforced, precast concrete treads make up the walking surface of the PermaTrak system. Standard color and texture options are available. 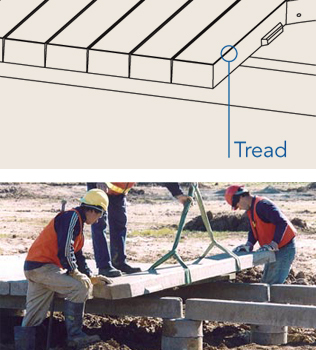 Treads interlock via precast tongue and groove connections. When the grade separation is less than 30'', precast concrete curbs can be supplied by PermaTrak. Often they are used as a “warning bumper” or “toe curb." "L" shaped shallow foundation component, typically used for beginning and ending condition at boardwalk-trail intersection. Continuous rounded abutment channel accepts the spherical connecting pins. 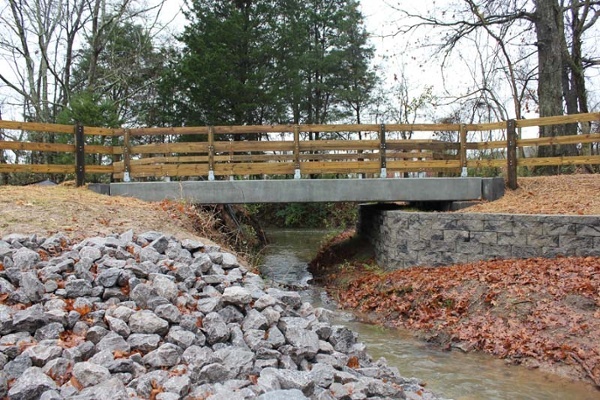 On a conventional boardwalk system, these components are referred to as “planks” or “boards.” PermaTrak treads are reinforced, precast concrete members that interlock via a tongue and groove connection. Instead of "headers," "runners" and "stringers" found on wood or composite decking boardwalks, PermaTrak designs and produces reinforced, precast concrete beams. These beams are the main structural load bearing elements of the boardwalk system. 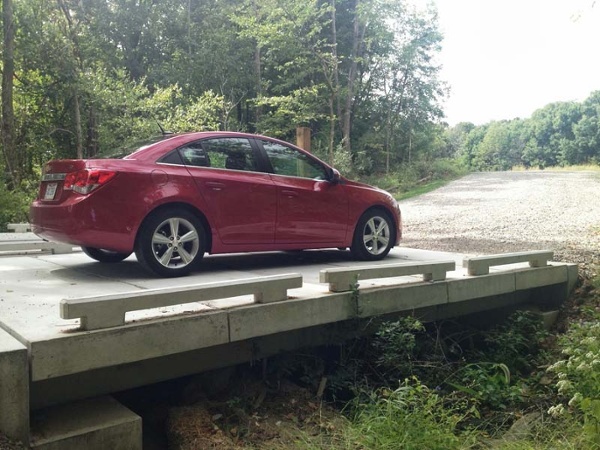 Note: depending on the project site and project requirements, beam spacing should be coordinated with the foundation type for the most economical boardwalk design. Set up an appointment with our engineering team to evaluate your options. Potential for top down construction is available with all of these beam size options. Keep in mind that the foundation type under the PermaTrak cap components aren't always the base and riser(s) supplied by PermaTrak. Regardless of the foundation type, the caps serve as the transition point from the foundations to the PermaTrak boardwalk system (beams, treads, optional curbs). 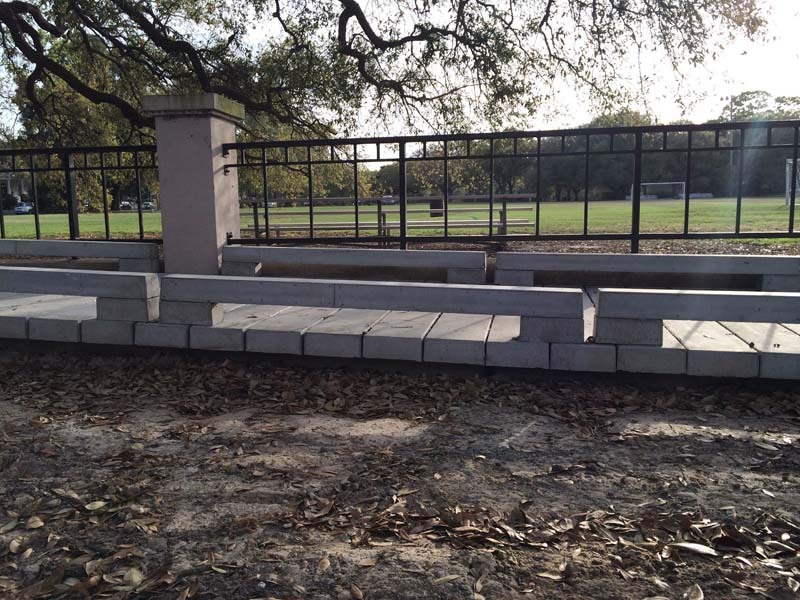 Visit the concrete boardwalk construction page to see step-by-step installation procedures or click to learn more about the boardwalk design process.